Kate Gaffney returns to Northern California after spending the majority of 2007 in a Los Angeles studio recording her upcoming album "The Coachman" with producer Barrie Maguire (The Wallflowers, Natalie Merchant, Amos Lee). Musicians including Jackie Greene, Steve and John Kimock, and The Innocent Criminals all contributed to the record. 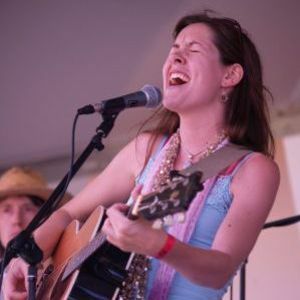 Leaving her career as a social worker in 2002, Gaffney began to perform and write alongside local artists, while soaking in the Americana music scene that was flourishing in Sacramento at the time. She hit the road and returned to her native East Coast, where she independently released two albums, "Highways" and "The New Then." Her regular touring led Kate to Austin, TX where she met even more of "the good people" in music. Most notably, Gaffney was befriended by the late Clifford Antone, Austin's music mogul, who gave her the validation to keep on with her musical calling. Gaffney spent recent years immersed in the Philadelphia music scene, quickly becoming a standout favorite in the city's top venues. A permanent return to California was only a matter of time for Gaffney. It is here that she regains her musical roots and brings her throwback but contemporary sound back to the West Coast. Kate forever calls both coasts home.